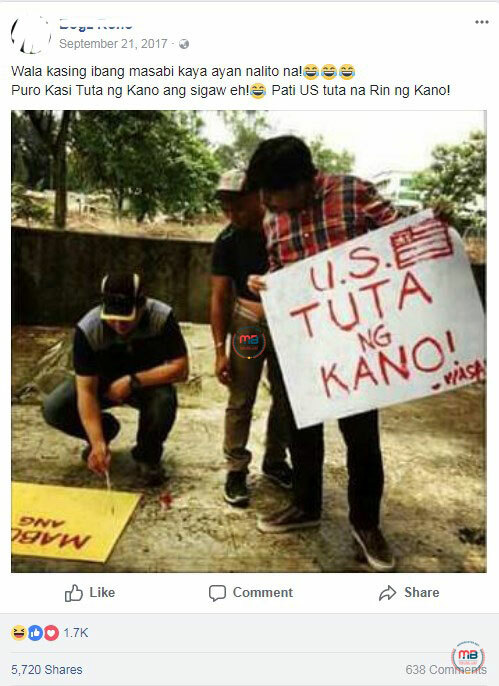 A photo showing a man holding a protest placard that read “US Tuta Ng Kano” has been circulating online. 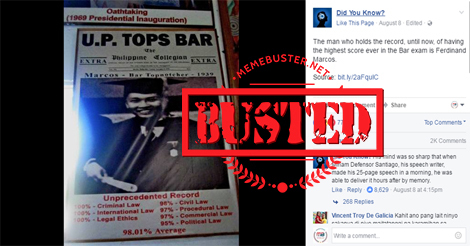 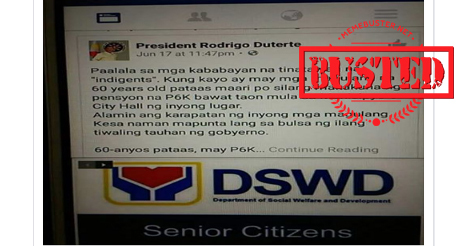 One of those who shared it was the sister of the late Senator Miriam Defensor Santiago, lawyer Paula Defensor Knack. 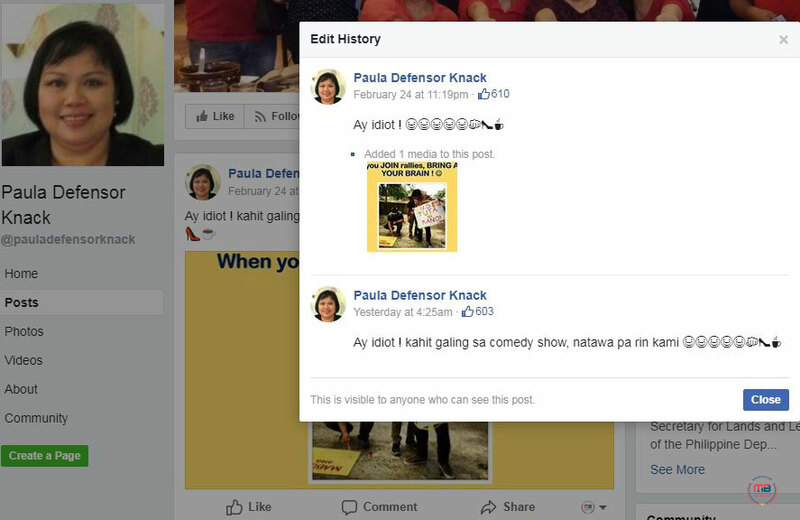 However, the post’s history showed that Knack actually just captioned the photo with “Ay idiot!” before adding the caption that said the photo came from a comedy show on February 25 at 4:25 a.m. 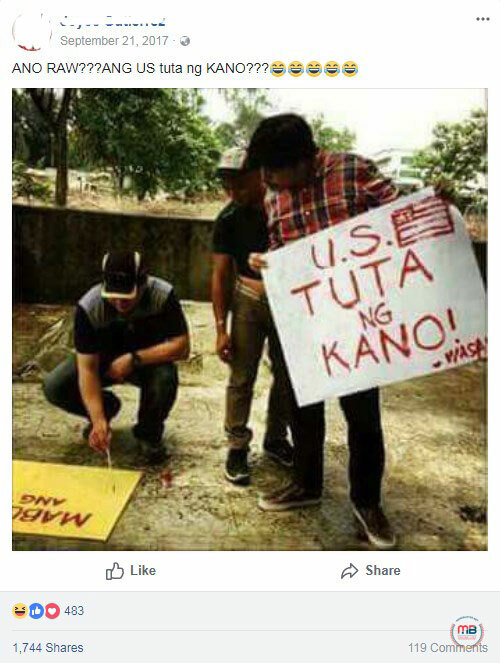 But when the photo was posted on Facebook in September 2017, some netizens’ posts that made fun of the protest placard went viral, earning over 6,000 shares. 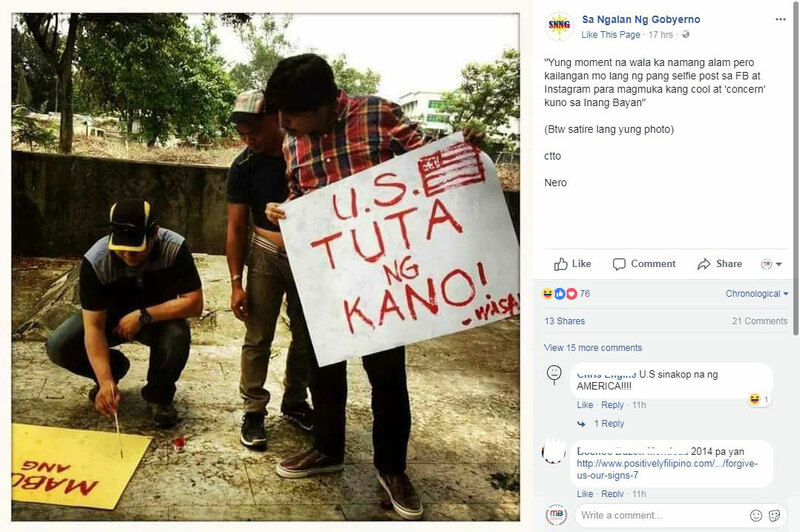 We found other netizens noting that the man holding the laughable protest placard was Jun Sabayton and that the placard was made for satirical purposes. 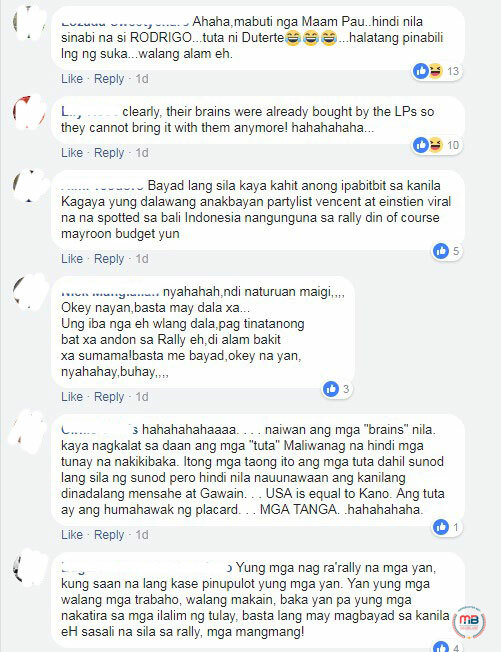 Wasak is a show on TV5 hosted by Sabayton and Lourd de Veyra that started in 2011 and ended in 2013. 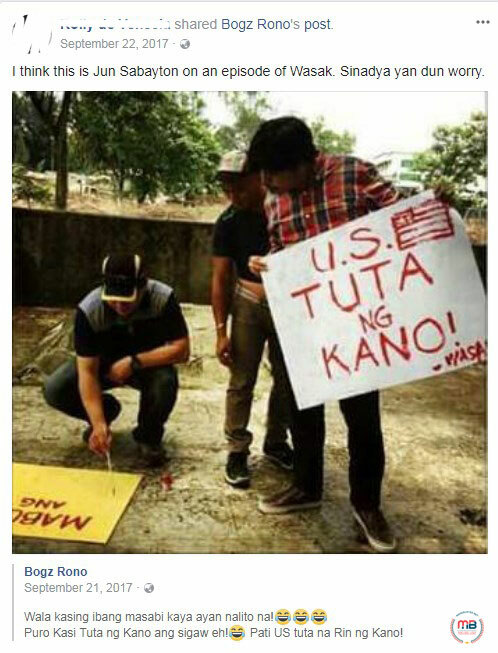 Another netizen described the placard as “satire” too. 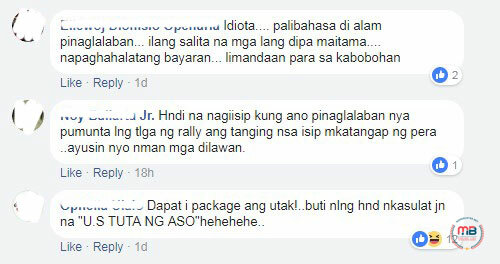 Someone also pointed out that those who took the protest placard seriously don’t really know who Sabayton is. 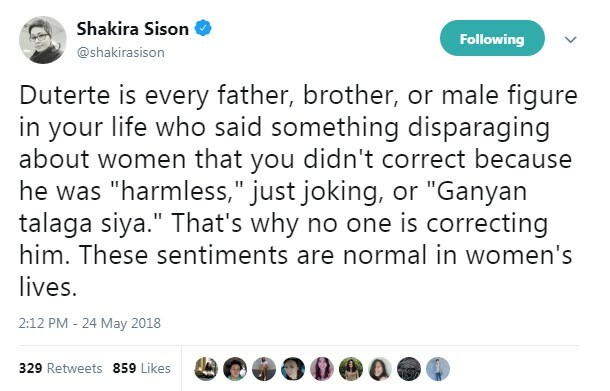 “hahaha. 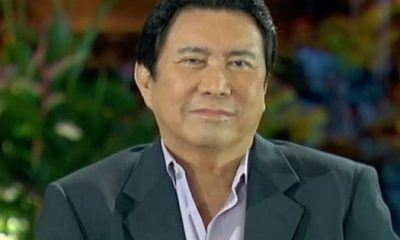 Di yata nila kilala si Jun Sabayton,” the netizen wrote. 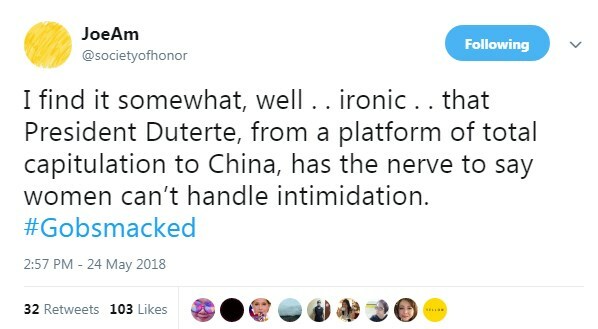 Sabayon is a social satirist. 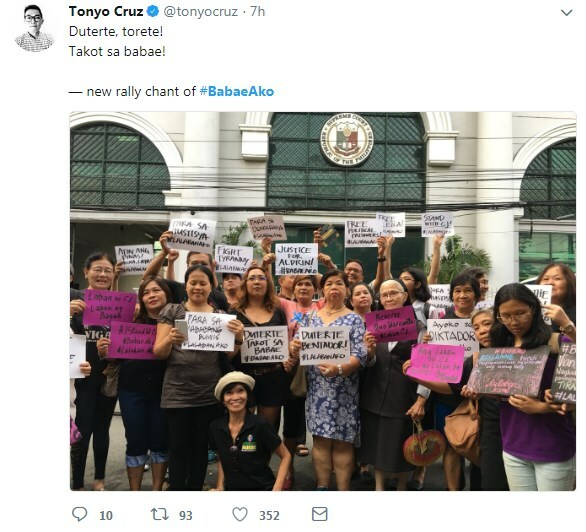 He was the face of News5’s 2016 election advocacy campaign, “Bayaw for President.” The program was first featured on the satirical program hosted by de Veyra. 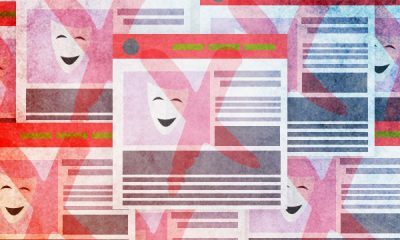 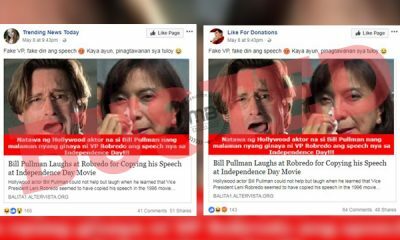 Sabayton and de Veyra told The Flame, the official student publication of the UST Faculty of Arts and Letters, that they considered political satire as a tool to increase the Filipinos’ awareness of the issues plaguing the country. 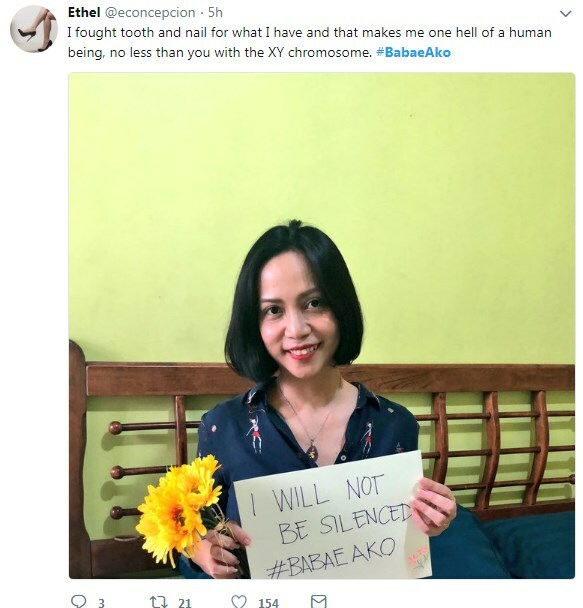 “Kasi ‘pag masyadong dineretso, hindi kumakagat eh. 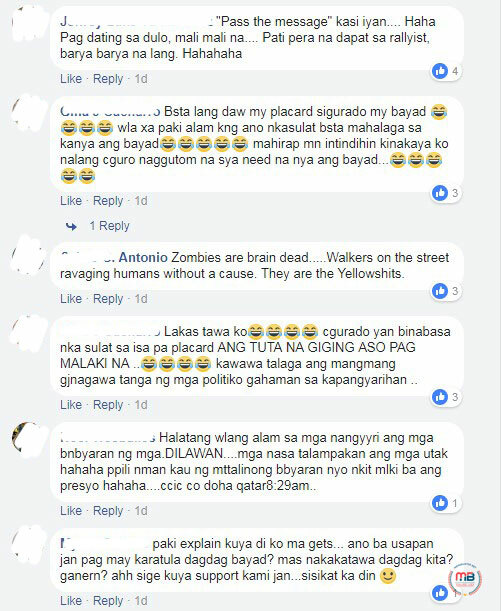 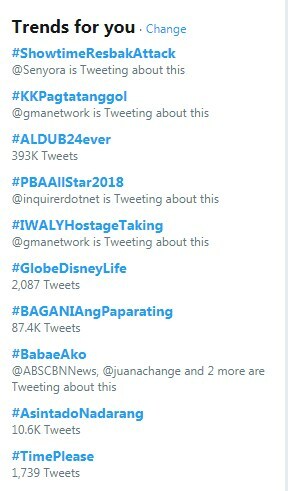 [So] dapat siguro may ‘pautot’ ka ng kaunti para yung pagtawa mo, at least, may maaalala ka sa issue. 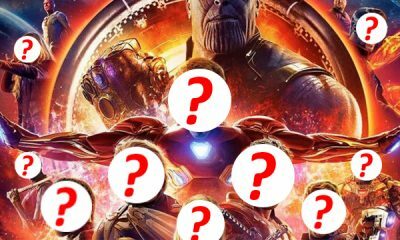 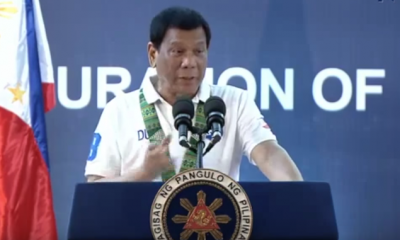 Hindi mo siya kailangang i-solve pero at least, just the fact that you are thinking about it is a big step,” said de Veyra. 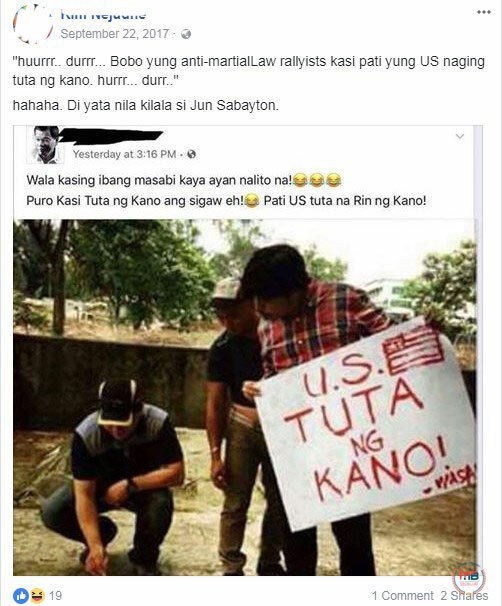 “Nasa dugo natin ang sarcasm. 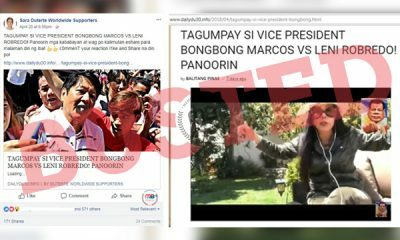 Natural tayong magaling mang-insulto… Kaya ka lang naman nang-aasar dahil may gusto kang i-uphold na standards,” De Veyra added. 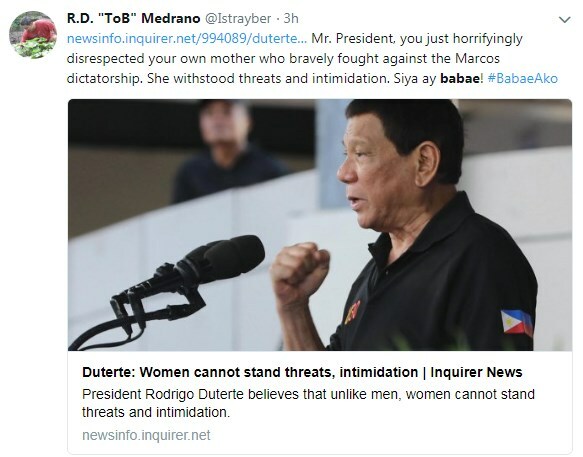 Sabayton also said that as satirists, they observe media ethics to avoid offending certain race, people or religion. 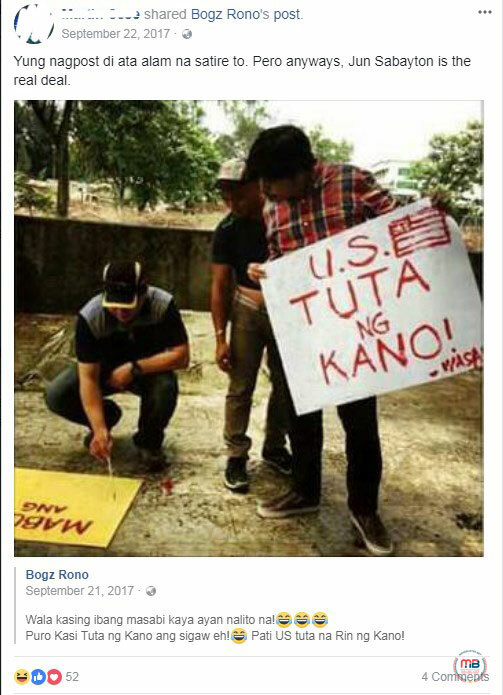 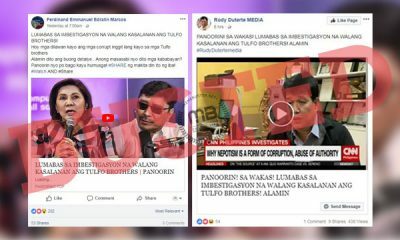 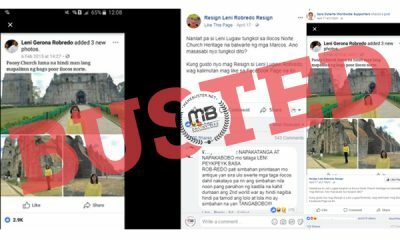 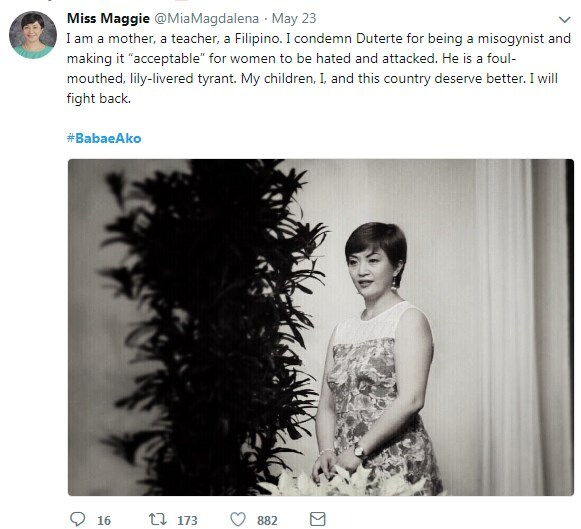 Aside from sharing the “US Tuta Ng Kano” photo, Knack shared a meme with a fake statement attributed to Senator Risa Hontiveros who allegedly boasted about her accomplishments, a story denied by Magdalo that linked them to the Maute group, and the 2015 photo that Justice Secretary Aguirre used to link the opposition lawmakers to the Marawi crisis. 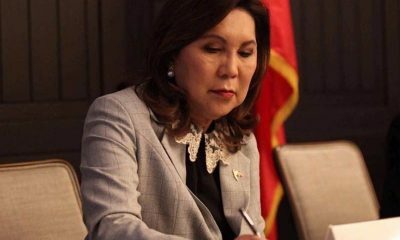 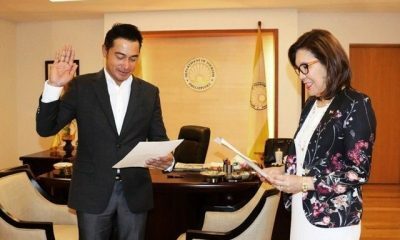 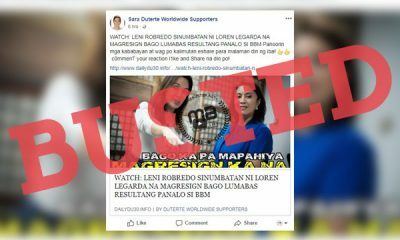 She also shared the fake news about the Zambales crowd walking out when Senator Antonio Trillanes IV started talking and the misleading claim that accused the man in a photo with Vice President Leni Robredo as the cop who shot Kian delos Santos. 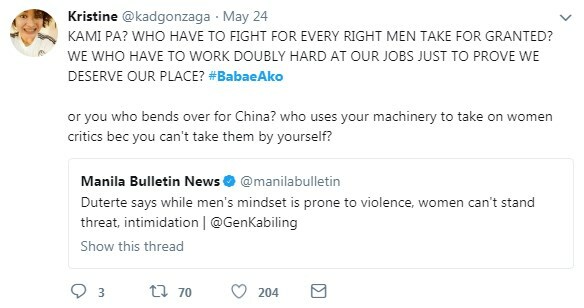 Just like Communications Assistant Secretary Mocha Uson, Knack also urged the media and support to be sent to the wake of a cop who actually died in 2016.